As a working mom of five active kids with crazy schedules, I am always looking for ways to save time on household chores. I love products that can make meal prep or cleanup more efficient. It’s little wonder there are countless new products every year that promise to simplify our lives. Something else many families, including mine, consider as we shop is our impact on the environment. Nielsen reports that 16 percent of today’s consumers list environmental concerns as a priority when they shop for new household products. Unfortunately, our priorities of simplicity and environmental sensitivity don’t always align, so many of the goods and gadgets we rely on for convenience are the very things that are bad for our environment. They create tons of new waste every year, leaching toxic chemicals and threatening families’ health. 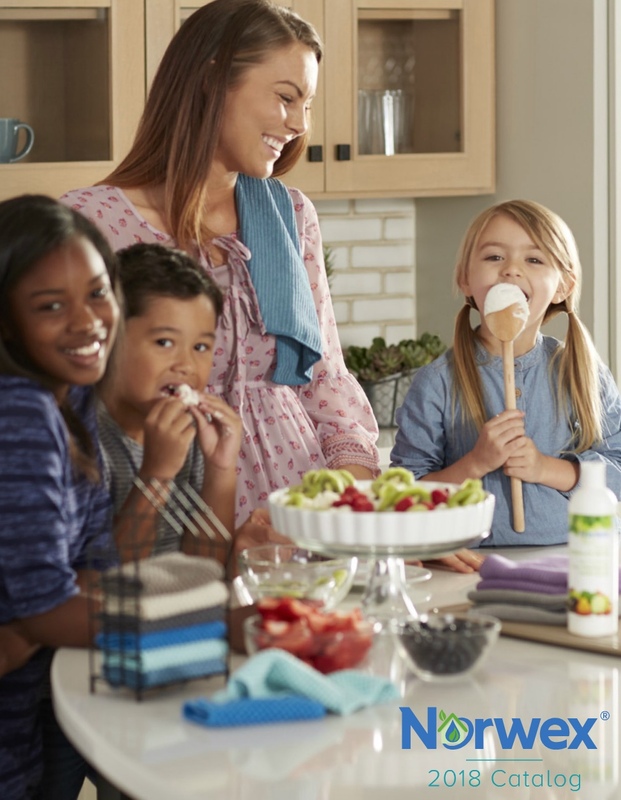 The good news is that we can save time on household chores and protect our environment and protect our children’s health at the same time by adjusting routines and choosing eco-friendly products. 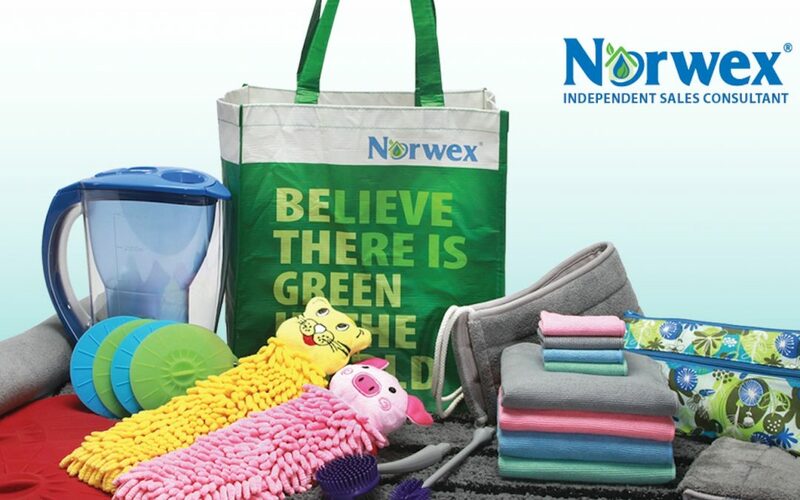 Norwex offers a big range of easy-to-use products that allow you to care for the environment without sacrificing convenience. Here are some easy tips for minor changes around the house that can have a major impact on the planet. Plastic Water Bottles. We know plastic water bottles are overwhelming our landfills. Instead: Try reusable glass water bottles. With Norwex’s Bottle Brush and EnviroSleeves, cleaning out bottles, jars and other glass containers becomes a breeze! Single-Serving Coffee Pods and Tea Bags. Between 1986 and 2012, leading manufacturer Nespresso estimates it sold 27 billion coffee pods globally. Imagine how much new waste was created! Instead: Use a pot with a reusable filter to brew coffee and tea. 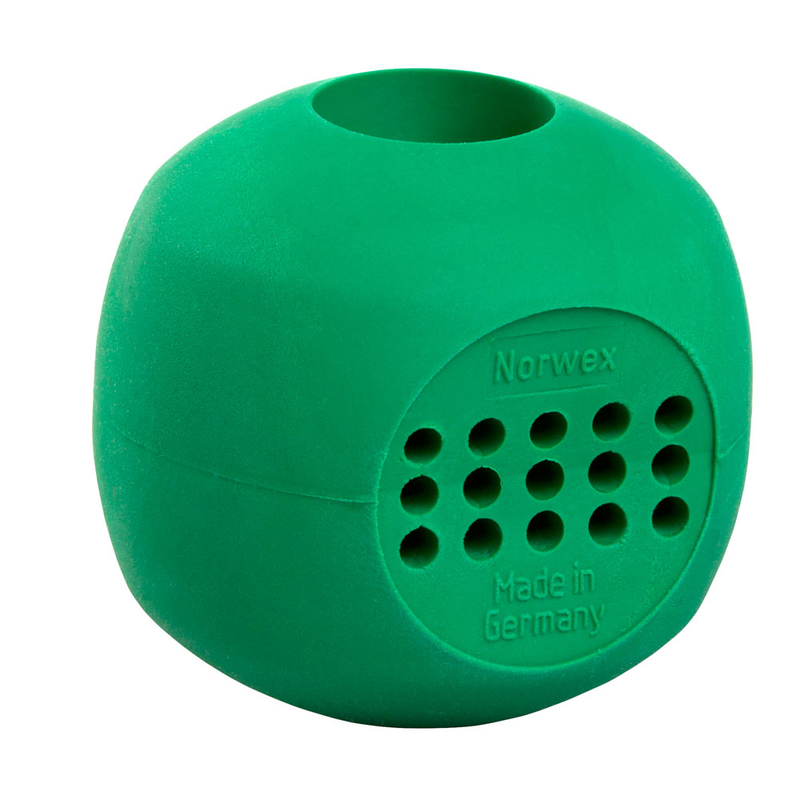 Norwex’s Magnet Ball prevents calcium from building up in dishwashers and washing machines, resulting in softer water and requiring up to 70 percent less detergent — making it gentle enough for just about any coffee or tea pot. To-Go Containers. Take-out is a great time-saver, but those non-biodegradable Styrofoam containers are a disaster for landfills. Most will still be there in 500 years. Instead: Look for restaurants that offer recyclable or compostable containers. Better yet, bring your own containers and cover them with Norwex’s silicone lids for an eco-friendly airtight seal that will keep your food warm! Coffee Convenience. Did you know that if you buy just one cup of coffee or tea in a disposable cup every day, you’ll end up creating about 23 lbs. of waste in one year? 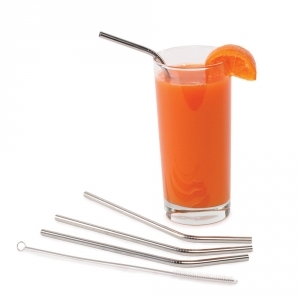 Consider that with that cup come also come plastic lids, stirrers and straws. That’s a lot of waste. Instead: Bring your own reusable cup and top it with a Norwex silicone cup lid to keep your coffee hot. Disposable Grocery Bags. The U.S. uses about 100 billion plastic bags per year, with the average person using between 350 and 500. According to the Environmental Protection Agency, just 2 percent of those are recycled. The rest are left to live on in landfills or decompose in oceans, where they leech toxins into the water and soil. Instead: Bring your own reusable grocery bags. 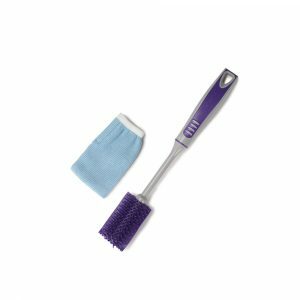 The Norwex version with BacLock stay good as new for longer! Disposable Produce Bags/Resealable Plastic Bags. It’s hard to dispute the convenience of disposable produce bags and resealable plastic storage bags. But there are easy eco-friendly alternatives! 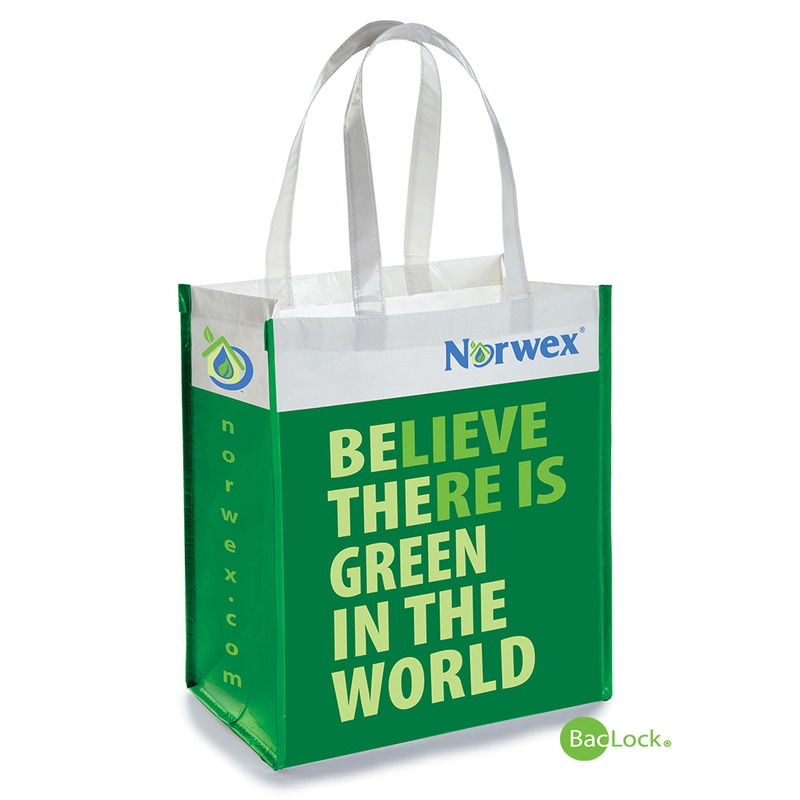 Instead: Norwex reusable Produce Bags mean less trash in the landfill and fewer chemicals in your body and home. In addition, they are strong and durable, so you can use them again and again! 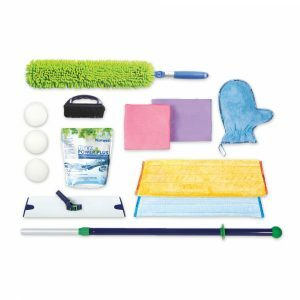 Disposable Cleaning Supplies. As well as creating even more waste, single-use mop pads, disposable cleaning wipes and dryer sheets are often filled with harmful chemicals. Instead: Take care of of your cleaning needs in one swoop, while protecting your family from those chemicals, with Norwex’s Just Add Water Package. Microbeads. Did you know that your face wash or toothpaste could contain an ingredient that kills fish or turtles? Microbeads, which are common in health and beauty products are tiny particles of plastic that are polluting lakes and oceans. Instead: Chose brands (such as Norwex) that don’t include this ingredient and are just as effective. We offer an impressive selection of bath and body care and personal care products. 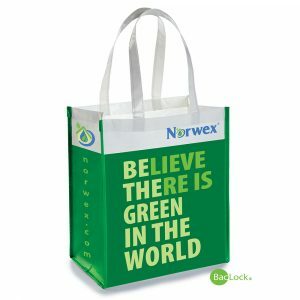 We have reusable grocery bags in our cars & home. Using all sizes of silicone Lids has helped reduce aluminum foil & plastic wrap for cooking & refrigeration. Having the Norwex water filtration water pitcher is a great-tasting way to drink more water especially in a reusable insulated bottle. With so much microfiber handy, we rarely have the need to purchase or use paper towels.